Home / Review / Best Drones 2018: How to Choose Best Drones for Beginners and Pros? Leisure drones have made their way out of ultra-specialized boutiques and have found a place on the shelves of big box stores. This type of drone has become extremely affordable, sometimes retailing for as little as 20 to 25 dollars. Of course, the more experience you become flying a drone, the more you will want to fly even faster and more powerful models. The price of these more powerful drones can be surprisingly high and the introduction of the Mi Drone by Xiaomi – which promises to offer rock-bottom prices – has done nothing to change the status quo in the mid to high range segment of the market. Drones, what are they good for anyhow? These devices, which are the heirs to an older generation of remote-controlled models are, simply put, really about taking joy in flying them. However, sports cameras such as the Geopro have opened up an entirely new universe to these devices which are now capable of aerial photography. Imagine taking photos of your holiday as seen from the air. Or how about a “dronie”- a selfie of yourself taken from a drone!? Before going all out and buying yourself a large drone in order to take superb aerial photographs, you would be better off honing your piloting skills by practicing with a more reasonably-sized drone. We have elected to speak about a few drones which are small and easy to learn how to fly and good for filming video – good for taking on vacation or for filming nice landscapes… The manufacturer DJI has a virtual monopoly on the flying camera market, with a more than 70% market share! It must be said that this manufacturer has quite a few years of experience in manufacturing drones geared towards both professionals and the general public. It is also the manufacturer which offers the most highly developed and effective innovations. All in all, it is hard to compete with DJI and the French Parrot company, as well as the American manufacturer 3DR, have fallen behind. Furthermore, in terms of the smallest drones, there is a fierce battle raging between less well-known manufacturers. It is possible to fit a camera of a few grams on board a drone that it only ten centimeters across. The video quality will be mediocre, but it will allow you to gain access to a different perspective and to keep a memory of all of your flights! Drones of 25 cm and upwards are usually equipped with more powerful “brushless” motors which make it possible to carry a heavier load such as a more powerful battery, a GoPro type camera or even a combination camera + transmitter for immersion flights. These motors need to be controlled by electronic circuits called ESCs (Electronic Speed Control). Go going up in size and adding a few extra motors – for a total of 6 to 8 or more – will make it possible to carry a better quality camera – even a reflex camera- or to add several batteries in order to increase flight time. · The first is to use a radio controller, the most conventional type of controller inherited from the world of radio controlled models. 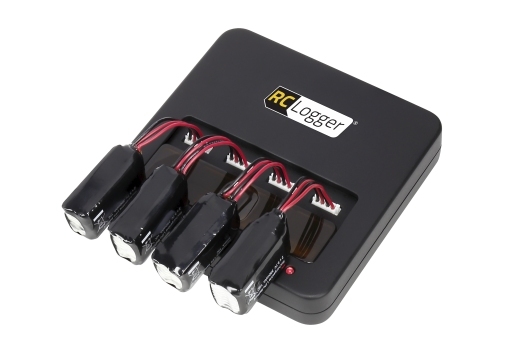 This type of controller generally operates at a frequency of 2.4 GHz and makes use of frequency hopping technology to avoid the risk of interference and to eliminate the need to worry about what channel to operate on. Radio controllers operating at this frequency have a range of around 20 meters for the smallest drones and around 500 meters for larger drones. Note that some controllers operate at a frequency of 5.8 GHz in order to prevent potential conflicts with WiFi cameras (which operate at 2.4 GHz). · The second method is to use a smartphone or tablet to pilot the drone via a WiFi connection. 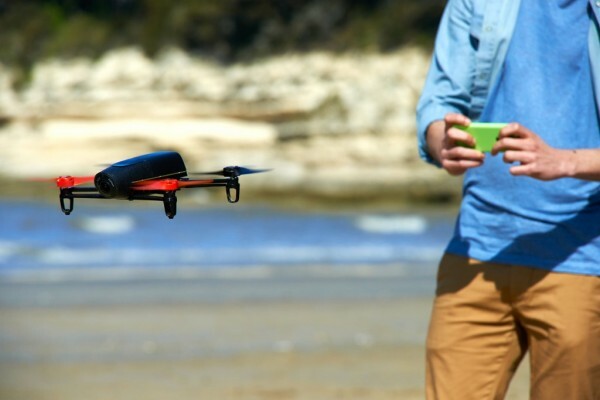 It is the French manufacturer Parrot which pioneered this technology during the course of developing its AR.Drone. What is the advantage of this method? Everyone (or almost everyone) is equipped with a smartphone and knows how to use it with ease. What is the downside to this method? The piloting is imprecise and WiFi has a very limited range – less than 70 meters. While, the technical data sheet of some drones indicates a range of 100 meters – sometimes much more – you should know that these values are very optimistic and that the slightest obstacle or parasitic signal could prove fatal to the WiFi connection. But what happens when the connection between the radio controller or smartphone and the drone is lost? With most devices, an automatic “failsafe” will be triggered which will cut power to the drone’s motors to prevent it from flying away. More evolved models, equipped with a GPS system, can be programmed to land wherever they currently are or to return to their point of origin – a technology called RTH (Return To Home). · The third means of controlling a drone is programming a flight path. Only the most modern drones equipped with a GPS system are equipped to be controlled in this way. In practice, the programming software displays a Google Earth-style satellite map on which you will need to indicate waypoints (you will need to specify the drone’s intended height for each waypoint) after which the drone will be able to follow an automatic flight plan. · The fourth method is called “Follow me”. The principle behind this method is simple: the drone is programmed to follow your movement – by flying in front of or behind you. This control method is ideal for capturing sporting activities! 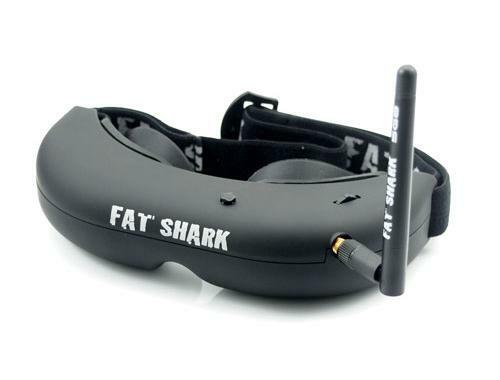 Technically speaking, this mode requires that you be equipped with a device – such as a smartphone or GPS wristband – capable of determining your GPS position in real-time and communicating it wirelessly to the drone. This can also be accomplished by means of shape recognition via the drone’s onboard camera. The “Follow me” function is in its infancy, but much work has been going into its development especially by DJI. It relies on GPS positioning as well as on shape analysis of the drone’s video stream. One word of caution, this type of control method rarely takes changes in altitude into consideration – imagine yourself climbing a hill with the drone following you at constant altitude; a crash is inevitable. If the drone is not equipped with a collision detector, you will need to be careful that no obstacles get in the way of your multi-rotor drone…Truth be told, even if your drone is equipped with this type of detector, you will still need to be cautious since collision detection and obstacle avoidance technology has not yet been fully perfected. The flight controller: integrated or in a kit? The Flight Controller is the device used to manage the drone. Flight controllers are without a doubt the components which have evolved the most in the last few years and which have taken the greatest advantage of the progress made in the miniaturization of electronics. With a small drone, it is generally not possible to choose its flight controller since it is usually integrated into the drone’s motherboard. And, with brand-name drones, the manufacturer usually imposes a particular flight controller on the consumer, one which can not be replaced – at least not easily. On the other hand, some multi-rotor drones come without a flight controller and require that you choose your own. 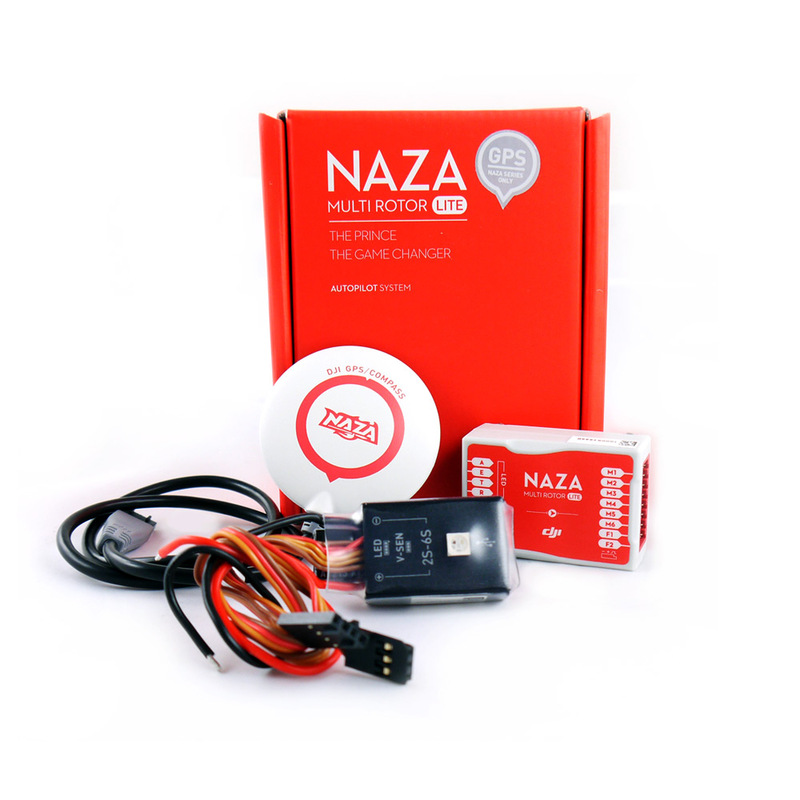 Among the market leaders can be found the Naza, produced by manufacturer DJI. This is the controller used by the famous Phantom – the white drone with a rounded shape that has been highly successful around the world. Several manufacturers have adopted the APM, a flight controller based on an Arduino system and open source software: this is the case of the Chinese manufacturer Walkera and of the American manufacturer 3D Robotics. Small competition devices are often controlled by a MultiWii flight controller – a cross between Nintendo’s Wii Motion Plus and an Arduino device – such as the CC3D (which is loosing ground), the Naze32, as well as controllers based on the ST Microelectronics F3, F4 or F7 processors and other alternatives such as KissFC. Ultimately, what is the difference between all of these controllers? The performance characteristics of all of these different platforms are more or less equivalent, except in the case of very specific types of usage. High-end controllers often allow users to make adjustments to settings via PC or Mac or even via a Bluetooth-equipped smartphone. These settings are often highly complex and it is not uncommon for novice users to get a little lost. When first starting out in the world of drones, it is best to choose a controller which has been factory pre-configured. How about in terms of autonomy? A flight-duration of around 10 minutes is considered to be average for a multi-rotor drone. Anything less is considered to be mediocre, anything over 20 minutes is considered to be exceptional! 10 minutes…that’s not a very long time! It doesn’t sound like a long time, but when you are highly concentrated on flying the drone – as you should be – these 10 minutes can seem like a very long time indeed! Most drones – except for certain small-sized models – have removable batteries, allowing you to purchase as many additional batteries as you can afford in order to extend your flying time. Warning: there are many different types of connectors out there and most of them are incompatible with each other. Is it possible to use a battery from one manufacturer to power a drone from another manufacturer? 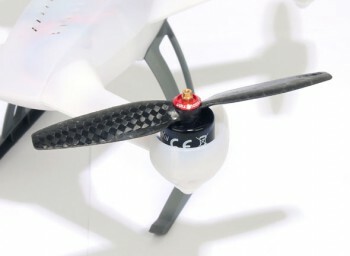 Yes, it is, provided that it has very similar characteristics to the drone’s original battery. 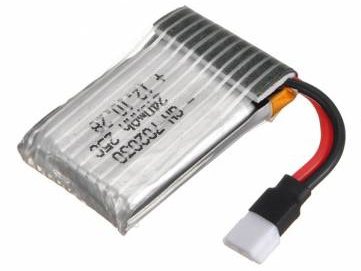 All drone batteries are of the Lithium-Polymer type (Lipo) which have very little memory effect (no need to entirely discharge them before recharging them). On the other hand, they are very sensitive to impacts and the smaller models have a lifetime of (barely) 100 recharge cycles. 1S 3.7V (1 cell) batteries and 2S 7.4V (2 cells) batteries are used by small multi-rotor drones; 3S 11.1V batteries are used by medium-sized competition drones and 4S 22.2V batteries are used by large drones. Drones weighing in excess of several kilos usually use 6S batteries. 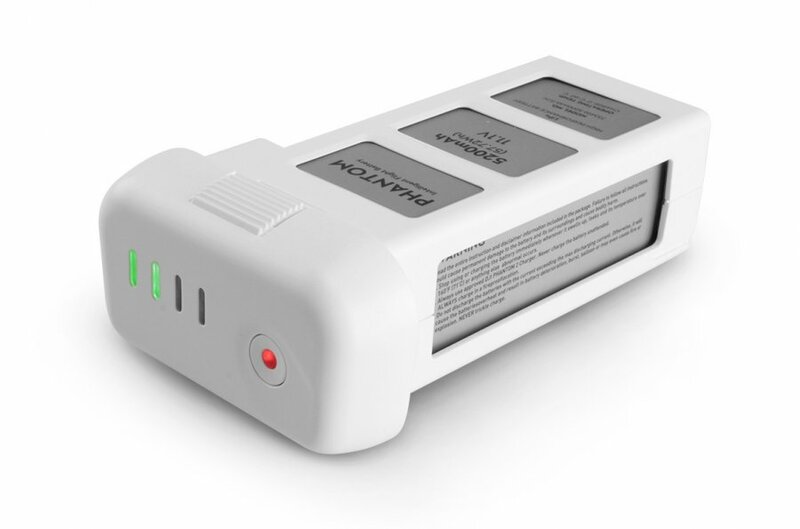 The battery’s mAh value indicates its electrical charge: generally speaking, the higher this value is, the longer you will be able to fly. What does it mean when a battery starts to bulge? This is often due to an impact and means that the battery is not in very good shape. The best thing to do in this case is to recycle the battery without attempting to recharge it. 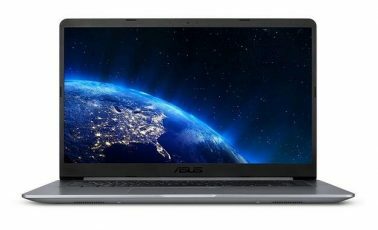 How good are the built-in cameras? 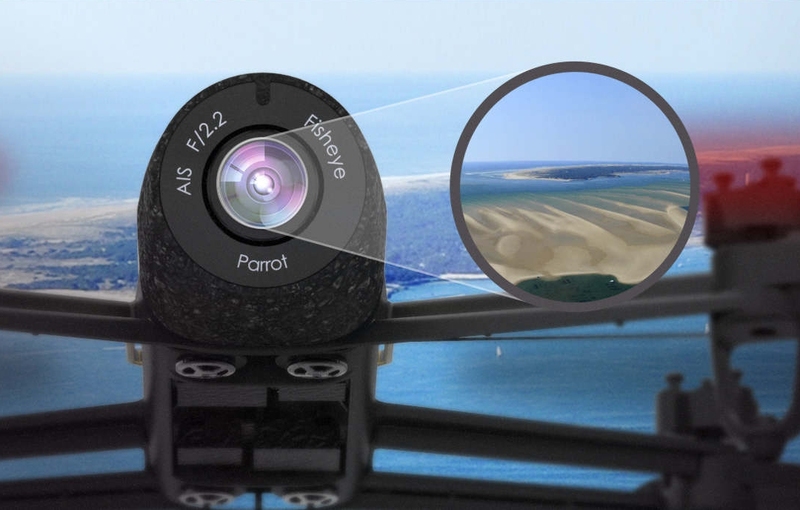 The integrated cameras on small drones are usually of poor quality. Most of these cameras record in VGA (640 x 480) resolution, others in 720p. 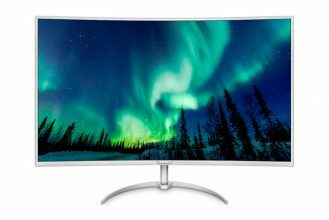 They often suffer from washed out blues or reds and from high-compression “pixelation”. It is possible to fit larger drones with a GoPro-type camera. The quality of the most recent models is quite good. However, beware of competing brands and Chinese knockoffs: they often have a very appealing price, but their image quality is much inferior to that of GoPro models, with the exception of some models like those from Sony or PNJ Cam for example. Most drones come equipped with a camera: such as Parrot’s Bebop 2, DJI’s Phantom 3 and 4 lines, Yuneec’s Typhoon… Some manufacturers, which used to equip their drones with GoPro cameras, have reacted to the release of the Karma (GoPro’s own drone) by developing their own cameras. The quality of these cameras varies widely, but as a general rule, these cameras are hard to remove in order to replace them with better devices. What camera should you choose? 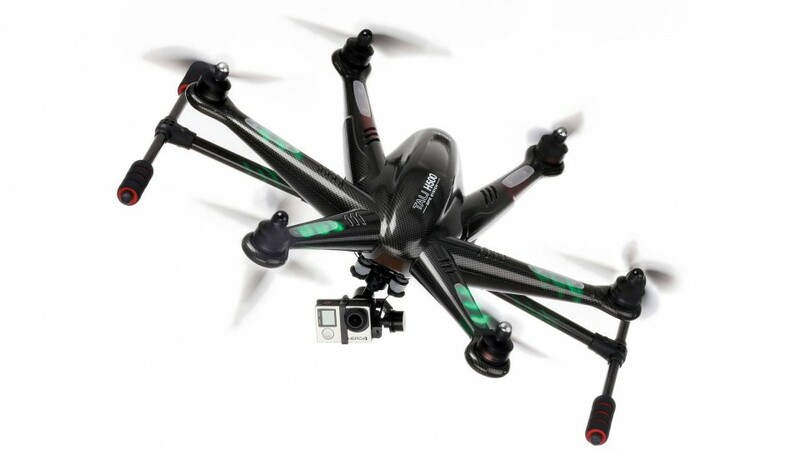 GoPro cameras cannot be used on smaller drones since they are too bulky and heavy. In the last few years, there has been a development of a new “keychain” camera industry. These cameras are generally of poor quality, but a community of passionate model builders have managed to persuade a few Chinese manufacturers to improve the quality of the electronic and optical components used in their products in order to develop better quality keychain cameras. This is what led to the development of the 808 #16 (with 720p resolution) and the Mobius (which is capable of recording video in 1080p resolution at 30 images per second). Since then other similar cameras have been introduced: Foxeer’s Legend 1, the Mobius 2 and the RunCam2 which are capable of filming in 1080p resolution at 60 images per second. What’s so great about these cameras? 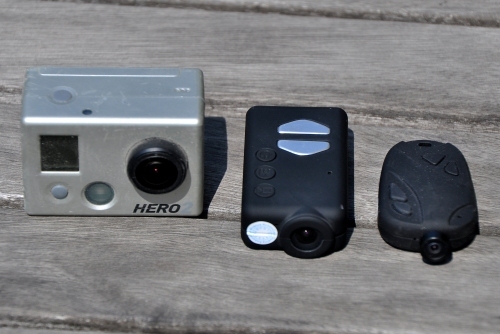 They weigh less than 50 grams – compared to the GoPro’s 100-gram weight – making them ultra-lightweight. Of course, these cameras do not deliver the same amount of sharpness as the market leader, but they are still capable of delivering good-quality images. Lastly, we shouldn’t forget to discuss the essential companion device of sports photographers, the stabilized camera mount. If a camera is directly attached to a drone, it will follow the drone’s every movement. As a consequence, it will record all of the drone’s jerky movements and parasitic vibrations, often resulting in very poor quality photos and videos. In order to avoid this scenario, you will need to make use of a stabilized camera mount. These mounts are also referred to as brushless camera mounts and rely on an electronic stabilization system that detects movements and compensates for them automatically. As a result, even when the drone is bouncing around, the camera remains completely immobile, allowing it to record a perfect image – as if it had been captured by a professional camera. How do you change the angle of view? In general, these mounts allow for control over the camera’s horizontal axis – its up/down inclination. The most advanced mounts also allow the camera to be rotated over 360°. Parrot’s Bebop relies on an innovative technology that replaces the camera mount: software stabilization. With the help of complex algorithms and a wide angle camera, this drone no longer has any need for a (fragile) mechanically stabilized mount. The images captured by this drone are vibration-free, even when it is being shaken by the wind…or by its pilot. During this type of flight, an onboard camera is connected to a transmitter which transmits a signal, in real time, to a receiver on the ground. The images can be viewed on a display, allowing for increased control over image framing during the drone’s flight. These images can also be projected onto “immersion goggles” which closely resemble the virtual reality goggles used by home cinema systems. These goggles make it possible to pilot a multi-rotor drone as if you were seated in its cockpit! The sensation of freedom provided by this experience is quite extraordinary: you will not only be able to get an aerial view, but you also be able to control your drone’s every movement. You may be a little hesitant during your first immersion flights, but you will quickly gain confidence. Enthusiasts of immersion flights, often called FPV (First Person View), are often very keen on low-riding. What’s that? Basically, flying your drone as low and as fast as possible in order to maximize the speed effect. These enthusiasts even organize FPV races, the goal of which is to fly following a predetermined obstacle course – such as a race through dense underbrush. What do you need to know in order to practice immersion flying? You will need to master visual flight of your drone. You will also need to optimize your video equipment in order to have the best video quality possible since it is much harder to see using immersion goggles than in reality. You should also be prudent and you should always be accompanied by someone capable of anticipating any possible collisions with a pedestrian, animal, etc. FPV racing is very exciting! The principle behind it is quite simple. Drones – generally DIY (Do It Yourself) builds – fly as fast as possible and as close to the ground as possible in order to achieve the most intense sensations possible. The drone is flown in immersion mode, that is to say, using goggles which display the video stream captured by the drone’s onboard camera. You may be somewhat hesitant during your first immersion flights, but you will quickly get the hang of it and want to go even faster. Crashes are not only inevitable but occur quite frequently. Drones usually come out of these collisions in one piece, although a drone’s propellers will usually need to be changed every time that it crashes. The more you progress, the more you will want to challenge yourself by participating in races through the woods, between tree trunks and branches, etc. These races combine the charm of Star Wars with the craziness of Wipe Out. The safety of FPV races is usually well managed: the track is delineated, secured and surveilled and the drones are unable to go any higher than the top of the trees – not even coming close to the 150 m altitude limit imposed by the regulations. The Airgonay team from “Haute-Savoie” in France, have become expert FPV racers, not only by being among the highest ranking pilots but also by designing drones specifically conceived for this type of racing such as the Porket Racer 240 and the Jpay Spider. There have even been races with very high prize pools such as the 1 million dollar Dubai race as well as races which have taken place in fantastic settings such as on the “Champs-Elysées” in Paris. This fad is on its way to becoming a fully fledged sport and has even been recognized by the prestigious FAI (World Air Sports Federation). 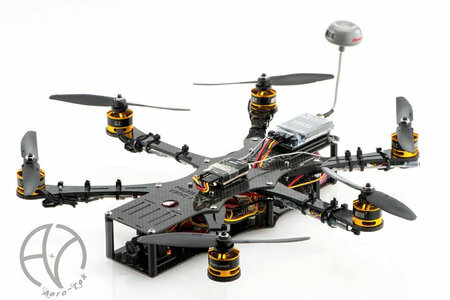 The racing of optimized DIY drones is growing in popularity all around the world. Be it a tiny drone of only a few centimeters across or a large, load-carrying drone, it is always imperative to go through a preflight checklist before taking off. The controller needs to be turned on before the drone. You will also need to make sure that the propellers are properly attached and that the batteries in the drone and controller are in good shape and fully charged. You should also make sure that weather conditions are good and that you have a good enough safety distance from other people. Once you get off the ground, you should perform a “stationary” maneuver which will allow you to verify that the controls are responding correctly and that the drone is not vibrating in any way. It’s inevitable: every pilot will crash sooner or later. Crashes can have wide-ranging repercussions. In the best case, a crash will not cause any damage to the drone which will be able to take back to the air as if nothing had happened. The preflight checklist becomes even more important after having experienced a crash. More often than not, a crash will result in broken propellers which are considered to be “consumables” and it’s always better to have a few spare propellers on hand. Sometimes crashing can result in more serious consequences: you may end up breaking a motor, an arm or the landing gear. In this case, some tinkering will often get you off the ground again – until you are able to perform more comprehensive repairs. After any serious crash, you should revise all of the drone’s welds and make sure that it is not producing any sort of vibrations. In case of doubt, you are better off not taking off. People have been talking a lot about drones lately. Either because they are taking part in difficult military missions in the Middle East or because they have been caught flying in restricted airspace over sensitive sites such as nuclear power stations. The term drone generally refers to an unmanned military flying vehicle which is either piloted from a distance or which follows a preprogrammed flight plan. In addition to military drones, there is also a growing number of civilian drones, many of which are geared towards professional activities such as capturing aerial views for television programs, tracking agricultural production, infrastructure maintenance, finding the point of origin of fires, etc. 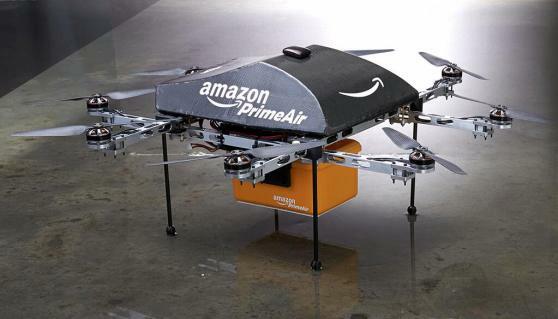 And what about drone deliveries, which are being presented by Amazon’s Jeff Bezos as being a great innovation? One thing is for sure, drones will play an increasingly important role in the future. In order to be allowed to fly a civilian drone, you will need to meet certain minimum requirements: you will need to hold a ULM pilot’s license (with the minimum required theory), a certified drone as well as flight clearances. Fortunately, none of these things are required to fly a leisure drone! Leisure drone enthusiasts prefer to refer to their drones as “multi-rotor” drones in order to distinguish them from military models. How do you know if you are legally allowed to fly? You should not overfly other people. You should respect the maximum flight altitude, generally 150 meters, but not always. You will need to content yourself with this limit! You should never lose sight of your drone or fly it at night. You should not fly your drone above the public spaces of urban areas. This means that it is prohibited to fly a drone within city or village limits or in public parks. However, it is tolerated to fly a drone on your private property or on another person’s private property – so long as you have the owner’s permission. A subdivision does not count as private property since it is a shared space. You should not fly your drone in proximity to aerodromes. You should not overfly sensitive or protected sites such as nuclear power plants, factories, public buildings, national parks and nature preserves. You should respect the privacy of others. You should not disseminate any video you may capture without the consent of the people being filmed and you should not do so for commercial purposes. It is especially important not to upload pictures of other people to the internet without their consent. You should verify under what circumstances you are insured while flying a drone. In case of doubt, you should seek out the requisite information. There are a number of questions that come up with some frequency regarding flying a drone: are you allowed to take off from your yard? The answer is “probably, but you should double check first”. If your yard is next to an airport, heliport or other sensitive areas, the answer will be no. How about in order to immortalize a wedding or other special event? The answer is no because it is prohibited to overfly an assembly of people. What about on a beach? Yes, if it is deserted. If there are people on the beach, flying a drone is prohibited. 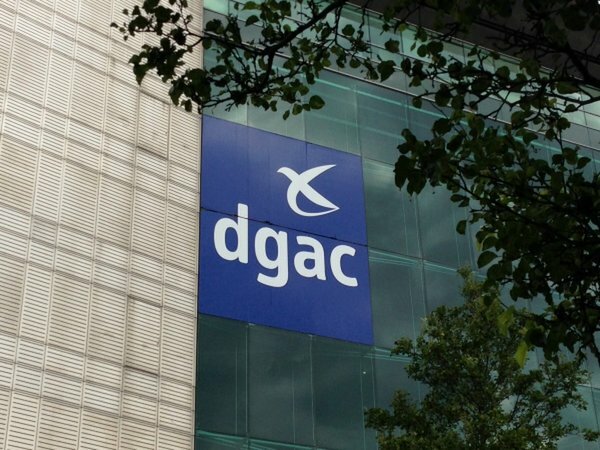 Respecting the rules governing insertion into the airspace is not always easy and requires having a serious understanding of aeronautical principles. 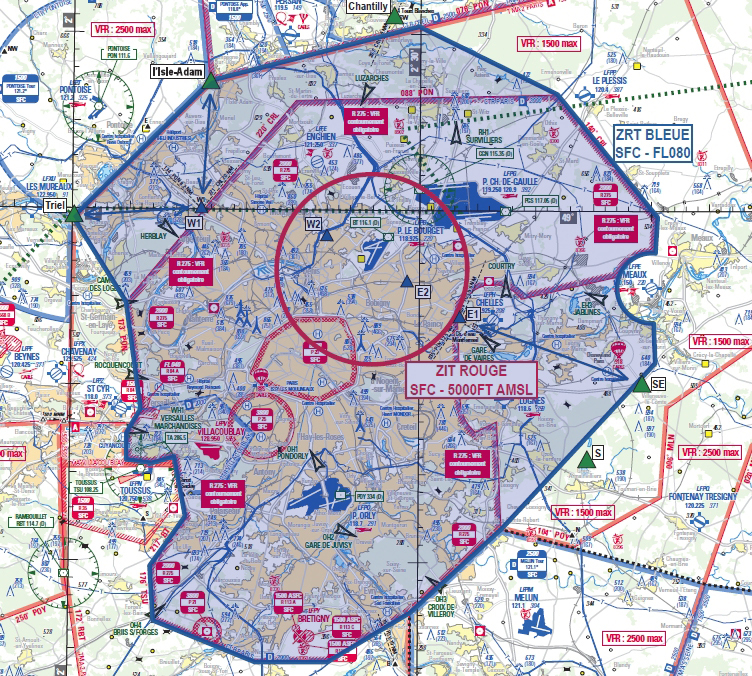 The simplest solution is to refer to a tool such as Mach 7 Drones which makes it easier to identify and understand the various restricted airspace zones, such as those surrounding airports and nuclear power stations. But also other zones above which it is prohibited to fly, such as “Seveso” zones, national parks and nature preserves! How to know where and where not to fly? Will the laws change in the future? The regulation will undoubtedly change in the future. France’s “drone” law – from October 2016 – which applies to devices weighing in excess of 800 grams, imposes obligatory registration of drones, the obligation to pass an online MCQ, the obligation to add a luminous device to the drone, the obligation to add a sound emitting device to the drone (for use in the event of loss of control over the drone), the obligation to add a device for the restriction of the flight zone. In addition, drone manufacturers and distributors need to include a copy of the notice addressed to leisure pilots in the packaging of their drones as well as their spare parts. The same thing applies to private citizens who resell their drones! All of these restrictions will only enter into effect after the publication of the implementing decrees. It is also likely that the 800-gram limit will be lowered, sooner or later. Due to their multiple propellers, drones are noisy. The smallest of these drones make about the same amount of noise as an irritated house fly while larger drones can be as noisy as a lawnmower. 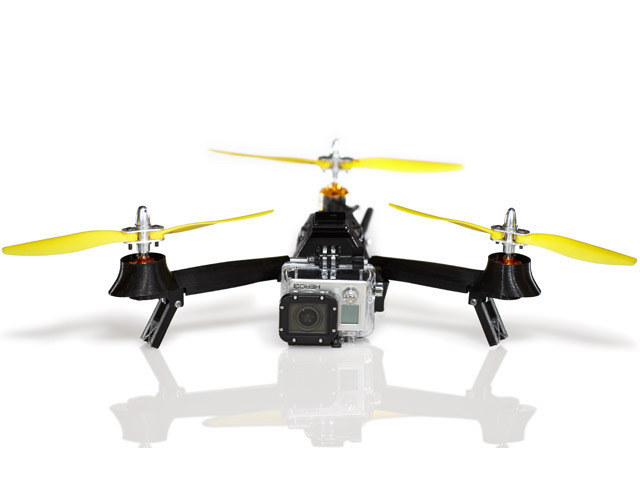 One thing is for sure, starting up a multi-rotor drone does not go unnoticed especially when revving up for a takeoff. To the question “are you allowed to film your neighbors with your drone?” the answer is simple. On the one hand, this is just as prohibited as taking a photo of your neighbors with your smartphone – it is a question of respecting other people’s privacy. On the other hand, your neighbors will have ample time to get out of the way of your shot since they will be able to hear your drone approaching. The noise made by a drone can sometimes be intimidating, but does that mean that drones are intrinsically dangerous? The answer is “yes, potentially”. A multi-rotor drone’s propellers turn at very high speed and once they start spinning they can be quite sharp – this is true of even the smallest propellers measuring only 5 cm across. Touching a spinning 6 inch (15 cm) – or larger – propeller is guaranteed to result in serious injury. Even when your drone is equipped with propeller guards, you should always be cautious and never fly your drone in proximity to other people (or animals). What are the indispensable accessories? Batteries and propellers are indispensable accessories in which all pilots are required to invest. 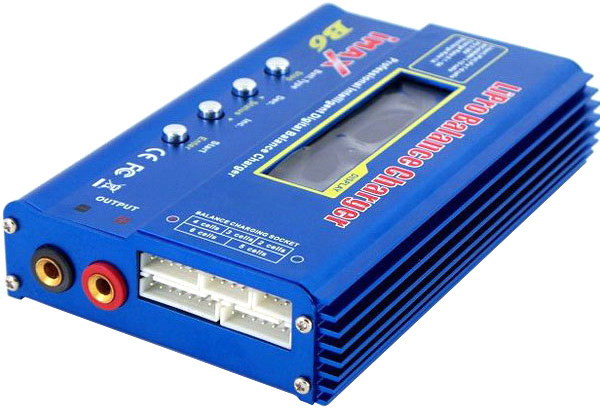 It is recommended to use a good battery charger. Why? This type of charger is capable of optimizing the charging process contrary to USB chargers which are functional but inefficient; these chargers also help to prolong battery life. Propeller guards can prove to be very useful. They guard the propellers against damage – as the name suggests, but they also help to protect people and objects in the drone’s flight path! Please note that these guards can modify the flight characteristics of drones: smaller drones may become excessively heavy and larger drones may become more susceptible to wind gusts. Sooner or later, you will probably have to perform open heart surgery on your drone. Following a crash, for example, you will need to verify all of your drone’s welds – especially with large drones. Drone manufacturers seem to take a strange pleasure in multiplying the different sizes and formats of the screws they use in their products. 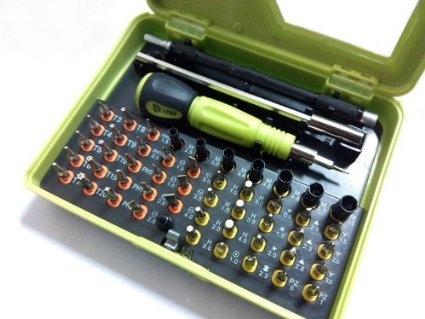 You will probably find it necessary to purchase a screwdriver set with 30 to 40 different interchangeable bits (flat head, Phillips, Torx, Pozidriv, ResistorX, Robertson, Torq, etc.) Double-sided tape and Velcro can also come in handy for securing a loose battery or a vibrating camera. Lastly, a fine-tipped soldering iron can also be very useful for repairing motors. Before moving on to a large-sized multi-rotor drone stuffed full of electronics and capable of carrying a stabilized GoPro camera, it is recommended that you start out with a smaller device. 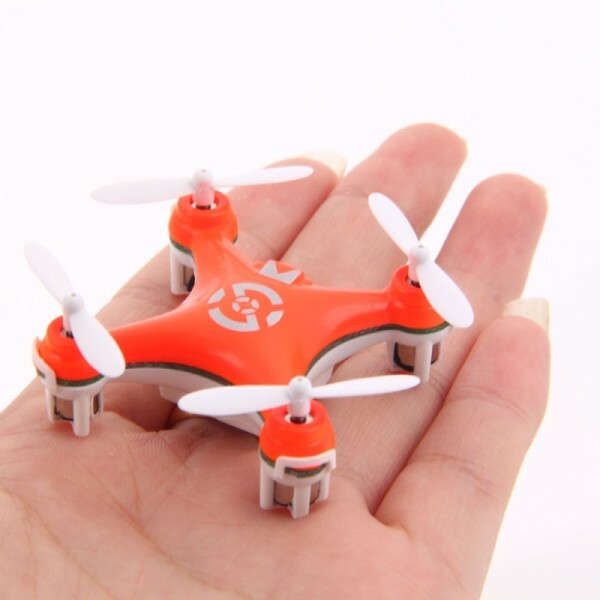 Its smaller size will allow you to fly it almost anywhere, even indoors. The flight controllers of entry-level drones require that you take full control over your drone without relying on various forms of electronic assistance. This will allow you to develop the indispensable reflexes required for safely flying drones, such as knowing how to fly the drone in a front to back direction or from side to side. 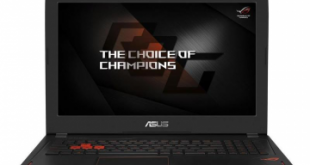 What model should you choose? Hubsan’s X4 H107C is an excellent choice. After a few weeks of intense practice with a small drone, flying a large-sized drone will seem very simple! The regulations indicate the things you absolutely need to take into account before flying your drone. But you will still need to use common sense at all times: you should not consider taking off if all of the requisite safety conditions have not been met. For example, if there is too much wind, do not take off. If your multi-rotor drone does not appear to be working properly, do not try to take off either. 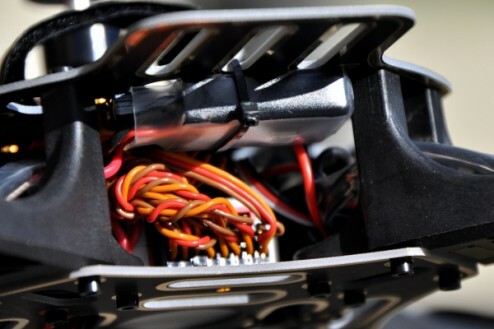 If one of your drone’s components is showing signs of wear, or has an inflated battery or a bent or broken propeller, change the damaged component before taking off. The technical data sheets of these drones do not always indicate the mode of the drone’s remote control. The most commonly used mode is mode 2 in which the power controls are on the left-hand side of the controller. Some controllers use mode 1 with the power controls on the right-hand side. What is the best mode? Neither one is better than the other, but once you get used to using a particular mode, it is hard to get used to another mode. It is a little bit like asking a right-handed person to draw with his/her left hand. The main thing is to choose a mode and to stick with it. You will, therefore, need to verify what mode the controller uses before purchasing a drone. Our recommendation is to use mode 2 since it is the most commonly used mode by drones sold in the USA. You are sure to come across these terms and abbreviations when referring to the technical data sheets of drones. We would like to give you a brief explanation of what they mean! ARF: Almost Ready to Fly. 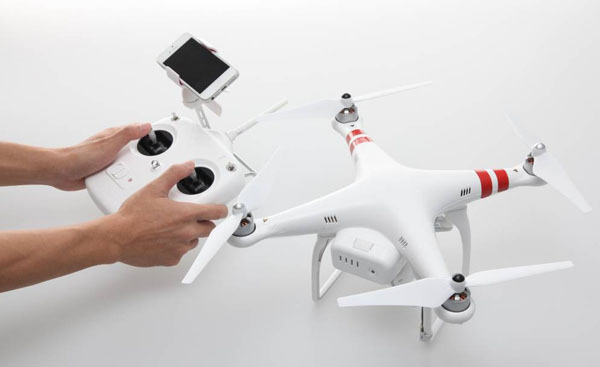 The drone is sold without a radio receiver, remote control or battery. BnF: The drone is sold with a radio receiver, but without a remote control. You will need to take care of acquiring one. CW and CCW: ClockWise and CounterClockWise. The direction in which the drone’s propellers rotate. FPV: First Person View. Just like in a video game. As far as drones are concerned, this refers to the practice of piloting a drone by means of the video feed being broadcasted in real time by the drone’s onboard camera. Self-tightening propellers: propellers that screw onto the motor’s shaft without the need for a nut. What is the advantage of this type of propeller? These propellers can be attached or removed in a matter of seconds without the need for any tools and they are impossible to install in the wrong direction (CW and CCW). What is the downside of this type of propeller? They are a little bit more expensive than conventional propellers. Mode 1, Mode 2: mode 1 controllers have a joystick on the right-hand side whereas mode 2 controllers have a joystick on the left-hand side. Only high-end controllers allow you to use either mode; lower-end controllers are fixed. RTF: Ready To Fly. A drone which is ready to fly out of the box. It is sold with a controller and a battery. RTH: Return To Home. A feature that returns the drone to the point of its departure. 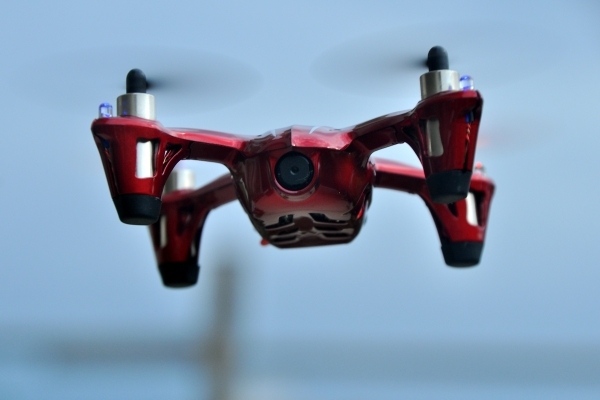 This feature requires a GPS (caution: some entry-level drones offer an RTH feature which does not rely on GPS – these systems do not work well). RTH can usually be engaged manually or automatically in the event that the radio link between the drone and its controller is lost. Overview: what drone should you choose?